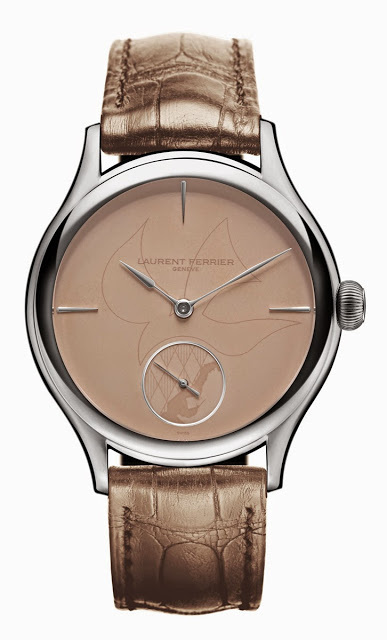 Laurent Ferrier will contribute a Galet Classic Tourbillon Double Spiral in steel for Only Watch 2013. Equipped with a sand-coloured enamel dial, this is a unique piece numbered “000”. 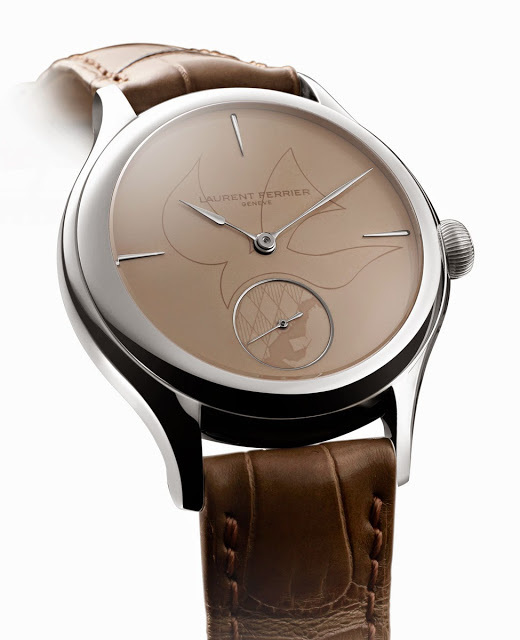 All Laurent Ferrier watches are usually available only in precious metals, except for unique or limited editions. 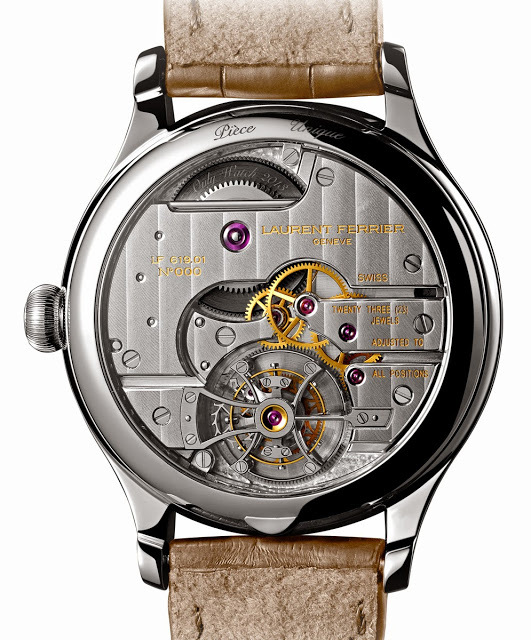 The Galet Classic Only Watch – referring to the rounded style of the case, galet is French for pebble – is one such unique edition. Besides the steel case, this is also distinguished by its coffee-toned fired enamel dial decorated with a dove, which is the motif of Only Watch. And the coat-of-arms of Monaco is painted on the sub-seconds dial. 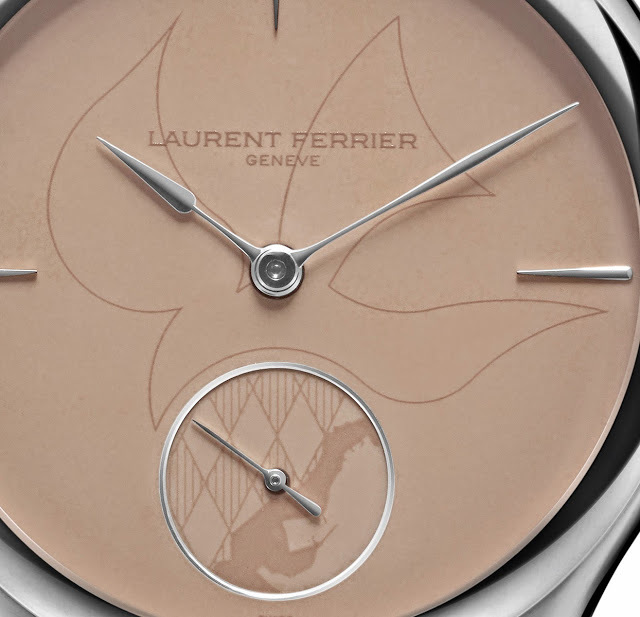 Both the dove and Monegasque coat of arms are painted in similar shades to the dial, leaving it looking restrained and elegant, in keeping with the style of Laurent Ferrier. The movement, signed “No. 000” is visible through the display back. Though it looks identical to the original Laurent Ferrier tourbillon calibre, this is a new calibre, FBN 619.01. It has received several significant, but subtle upgrades, which are found in all tourbillon movements produced from now on. 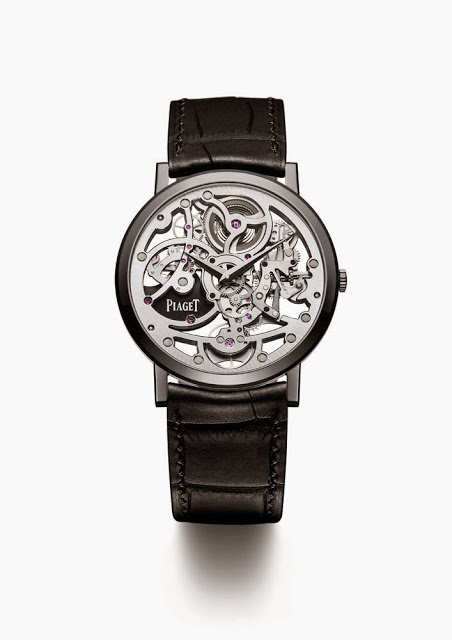 Piaget has created a unique, all black Altiplano Skeleton for the Only Watch charity auction in September 2013, the first Piaget ultra-thin watch with an all black coating. In contrast to the more colourful creations for Only Watch 2013, the Piaget Altiplano Skeleton Only Watch is monochromatic. Both the case and movement bridges are coated in dark PVD, the first time Piaget has applied this treatment to an ultra-thin watch. 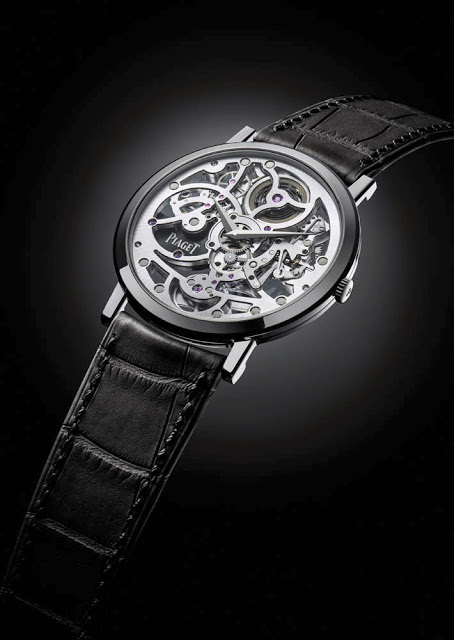 Aside from the black coating, the watch is identical to the standard Altiplano Skeleton. 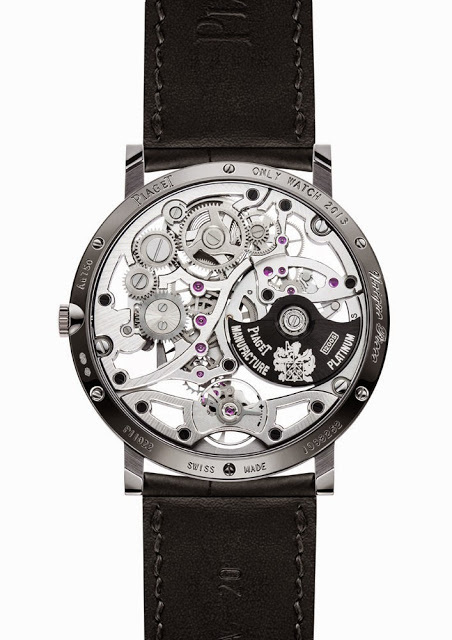 The white gold case is 38 mm and the movement used is the micro-rotor equipped cal. 1200S.